I, like many other people, enjoy a damn good bargain. The Chino supermarkets that litter the Costa Blanca in Spain are a veritable goldmine of super inexpensive items. For the uninitiated, there are a high number of massive Chinese warehouse-sized supermarkets across the Costa Blanca, where an absurdly large amount of random goods can be bought for insanely cheap prices. These can range from umbrellas and phone cables, to plug sockets and beyond. Many things are either badly made, or knockoffs of existing brands but for a person who enjoys cheap sorta-good items, it’s a great place to shop. One example of these knockoff items are the Pokémon trading cards that they sell. For the unknowing parents or small child these cheap cards can be very enticing. During my time holidaying in Torrevieja over the summer, I managed to pick up a packet that contained 31 Sun & Moon Ultra Prism cards for only €1. I have no idea if that is the correct amount of cards as each pack was already open, with no seal to preserve them. This means that it’s highly possible that some cards can be lost or taken out. This lack of protection should be an alarm bell straight away for any potential buyer. All brand new and legitimate Pokemon cards come in either seals foil packets, things like sealed tins, and their own individual plastic sleeves. Obviously, the cards inside weren’t legitimate cards. They weren’t even close. There are a multitude of ways to spot fake cards like finding simple spelling mistakes, or by checking that the blue is the right shade on the reverse side of the cards. I could immediately tell that they were printed on an inferior batch of cardboard, and the shades of blue on the reverse were all wrong. They were also slightly smaller than genuine cards. The sad thing is, all this information was gleaned from only a quick glance at them. Weirdly, there was also a 27/122 M Gyarados EX from a completely different set shoved in there too. Yeah. You may have thought that I made some mistakes whilst listing them, but sadly, you would be wrong. For a start, the Sun and Moon Ultra Prism set has 156 cards in it. There are also multiple cards that have the same number. For example Dialga Ex and Palkia Ex are both 045/066. One cards (072/066 Looker) even goes past the number limit. Looking even deeper, the numbers on real cards aren’t even formatted like they are on these fake cards. Even better, the Shinx, Luxio, and Luxray evolution family skip a number, going from 17 to 19 to 20. Not that this nonsensical order matters, as they are all in the wrong order anyway, compared to the real set. Up to now, i’ve only concentrated on aspects of the cards that are shared between them all, like the quality of the cardboard on which they are printed, and the number order. This was to stop me analysing every card to the last tiny detail, as I could probably go on for quite some time. Plus, I don’t really want to waste my weekend going over all these obviously fake cards. A minor detail I did notice is that each Pokemon is classified as either “Angler Pokémon”, “Pokémon Tadpole” or “Tadpole Pokémon”. In reality, the world of Pokémon has wildlife that is much more diverse than this. 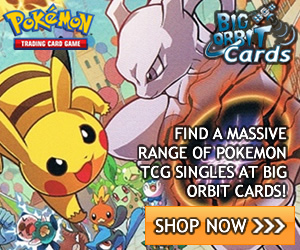 To conclude, there is a whole host of better and more legitimate ways to buy Pokémon Cards. Don’t be conned into exchanging your euros for some dodgy cards. Or maybe do buy them. I bought mine out of morbid curiosity and I can’t fault any of you for wanting to do the same. Thanks very much for reading this random post about my experience of buying completely fake Pokémon cards on the Costa Blanca! If you liked it, then please follow this blog for similar updates in the future.